3) that has transparency that can be altered. I got a transparent progress bar with the cutout shader (unfortunately it's Legacy/Transparent/Cutout/Specular and therefore expensive shader but I don't know how to write shaders so this'll have to do). But then I can't alter its transparency. If I can get a cutout shader that also does transparency, GREAT. But I have no idea how that works. I tried unity UI circular bar thing and then tried to resize it according to screen size and world object size but the maths across multiple device sizes proved to be too difficult for my brain to handle. SURELY this can't be that hard??? Does anyone have any experience on this? I had a quick look and this tutorial seems to go through all the appropriate steps. The main thing you are looking for is the radial fill on the images. Speaking to point 2. Everything related to Unity UI has to be on a canvas. You have to move the canvas itself(or the child objects) to where they need to be in the world. You also need to set the canvas to render in world space. I believe it defaults to screen space. Oooh, cool video. I didn't know you could do it that way -- way faster than what I've done in the past. I'm mainly linking this because it's transparent, but has that cutout, progress-bar-like behaviour that it seems you're looking for. Indeed. That will work fine. 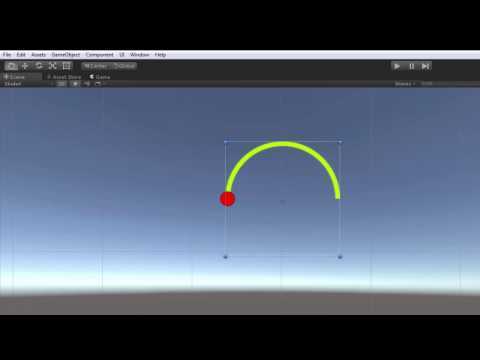 I believe it is intended to work like that from Unity's point of view.